California is facing yet another drought-caused water and energy shortage from an unexpected source. Hoover Dam’s hydroelectric power may have to be curtailed if the water level drops below 1,000 feet, an elevation it last reached in May 1936, when the reservoir was still being filled. “Previously, the lowest levels were about 1,082 feet in November 2010, and 1,083 feet in April 1956 during another sustained drought. Hoover Dam’s hydroelectric energy powers five huge pumping stations of the Colorado River Aqueduct, which conveys water from the Colorado River to Southern California. The dam’s electricity is sold to the Metropolitan Water District of Southern California at a wholesale rate of $20 per megawatt-hour. By comparison, the average price for electricity in California as of Sept. 2013 was $17.3 per megawatt-hour. If Hoover’s cheap hydropower were unavailable, the MWD would have to go into the spot market to buy power. Spot power market prices for Nov. 21 for peak hours ranged from $40.50 per megawatt-hour to $51 per megawatt-hour. Off-peak hour prices ranged from $29.75 to $41.80 per megawatt-hour (see Energy News Data Western Price Survey, Nov. 21, 2014). So electric prices could double for Southern California. The 2,080-megawatt Hoover Dam hydroelectric power plant generates power for over 1 million people in Arizona, Nevada and Southern California. 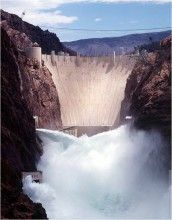 The U.S. Bureau of Reclamation is on a race to install new wide-head turbine runners for Hoover Dam at a cost of $11.6 million. If the new turbine runners can be installed before May 2016, the hydropower stations could draw water from as low as 950 feet. There are 17 hydroelectric generators at the Hoover Dam site. Annual deliveries of water through the Colorado River Aqueduct are 1,200,000 acre-feet, or enough water for about 7.2 million people. “The iconic Hoover Dam went into service in 1936 to manage the Colorado River water supply for cities of the Southwest and to irrigate the region’s farmland, and the hydroelectric power revenue, which makes the Dam a self-sustaining enterprise, is a byproduct of those services. The dam’s low water levels are another problem the state will have to cope with as the record drought continues. As CalWatchdog.com has reported, the incoming Republican majority in the U.S. Senate will be taking over the crafting of policy in that body. However, California’s two powerful Democratic Senators, Dianne Feinstein and Barbara Boxer, will continue to retain significant clout even though they will be in the minority for the first time in eight years. Indeed, it was their fellow Democrats who put the kibosh on compromise legislation Feinstein had worked out with House Republicans. 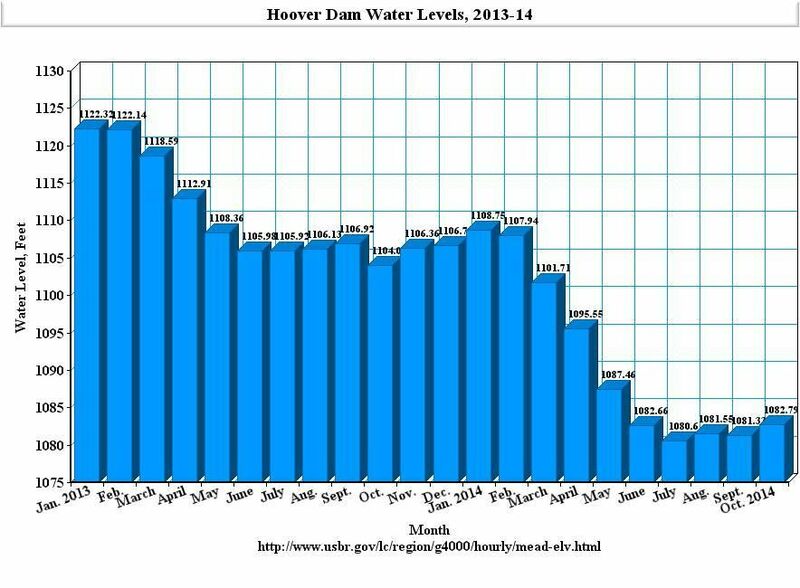 The Hoover Dam water crisis only adds more urgency to crafting a new water bill in 2015.